Texas may be the Lone Star State, but the winding lines at the Department of Public Safety (Tx DPS) are anything but solitary. Save yourself the frustration of a long wait and set yourself up for success by scheduling your trip there ahead of time. Not scheduling a skills test? Currently, you can ONLY make appointments for skills tests. All other tasks are handled in person on a first-come, first-served basis. You can also use the "Get In Line, Online" service to find an estimated time when you will be helped! The DPS now also offers a service called "Get In Line, Online." While this is NOT an appointment scheduler, it does essentially save you a virtual spot in line, giving you an estimated time for when you would be served. Visit the DPS' online scheduler service. Enter your information into the input fields. Follow the prompts to choose your preferred appointment options. 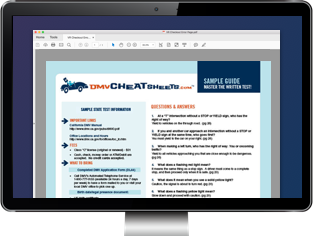 If you're NOT taking a driving skills test, either utilize the Get In Line, Online service or visit your nearest location on a first-time, first-served basis. You can also call the TX DPS at (512) 424-2600 with any additional questions. Applying for a driver's license (adults).